allenkeynyc, 03 Jul 2008how slow is the gps without data assistance? are you really really getting used to the smalln... moreThe gps with out data assistance is still quick enough, yes you really get used to the keys in fact now i'm finding when i text my thumb is actually sliding across the bars of the keypad so it's even quicker, did have a problem with the keylock today not unlocking unitil the third time or so but switched the phone off and on now it's ok, i'm actually not sure if you can ajust the keylock at all cant seem to find the menu for it and nothing in the user menu. Phea, 03 Jul 2008I'm planning to buy N78... It's only 430$ that is affordable. But i'm reluctant to get it afte... morehey.. there is no better phone in the market right now in this price range. its got everything. u should first of all understand that in forums and such posting areas only people who have problems post. those who are happy with it dont waste their time rumbling here. there is no problem with the n78. 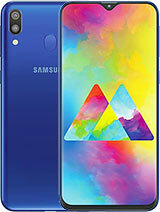 its the best phone in this range. it has almost everything. if you dont want music quality go for n82 with 5mega pixel and xenon. if you want to lower price and can sacrifice both wifi and music quality then go for 6220. but in the long run n78 is the way to go. all the best. the only phone marginally better than n78 is the n95 8gb because of its large screen and few other things but still the n78 beats it many areas which you can know easily by just comparing the spec sheet. if only n78 is dressed in n81 8gb's clothes, or if only n78's features are put into n81 8gb's casing, this would've been great! n78 is a lot more feature-packed than n81 8gb but the looks is simpler & cheaper than n81 8gb. n78 wouldve been so much better if it was a slider. n78 almost has it all except the design! how i wish n78's design is that of n81 8gb, but of course keeping its slim dimension. because first and foremost, n78 has more rights to be in the N8x lineup than n81 8gb which should be in the N7x. you know what i mean? - camera flash and sound cant be switch off. i have no idea why other manufacturers can and nokia cant. dont make sense at all! - call quality is loud and clear and voice is natural. some other manufacturers distort the voice into mickey mouse or robots. - music player on headphone is good. sounds like my mp3 player and on my pc. amazing music playback hours, even better than my mp3 player. dont hang anymore after new firmware. other phones may be able to listen to music but the sound and the music playback hours cant compare with the n78. - camera is good and fast(1 sec). 1 megapixel without autofocus on nokia n78 looks as good as 5 megapixel with autofocus on some brands. dont think about the pixels, think about the quality. - battery is amazing. after listening to 2 hours of music, received a couple of calls and sms, watch some video clips, view some pictures in gallery, take a couple of pictures using camera, using the alarm clock functions, 12 hours later the battery meter is still full. my phone is turned on 24/7 and so far i charge the battery every 3.5 or 4 days. should be able to last 7 days on light use. excellent phone for music and camera if you can ignore the terrible build quality. 6220 classic if you don't need wi-fi, furthermore it's cheaper. Battery is not enough, it should have 35000 mah lion battery, so it's standby time will be about a year. how slow is the gps without data assistance? are you really really getting used to the smallness of the keypad? i tested at the nokia store and found it so frustrating, fashion over function. any help with my forum post? it was a good loking ph.but prich is very hi. ay can dis pone use an 8GB memory card??? This phone is tempting. The now-usual-features: 3.2MP camera, HSDPA, WIFI, A-GPS, 2.4" screen, 3.5mm audio jack, stereo speakers; added with new features: FM transmitter, Naviwheel, improved user interface, and the large battery capacity. The only things that I don't like are the build issue, and the price, it's too expensive.